In 2004, Danner Boots gave working guys the world over a great gift in the form of the original Workman boots. Classic construction, high quality materials, and a versatile style made the Workman a favorite among everyone from carpenters to construction workers to ... (see full details) (see specifications) #16285. In 2004, Danner Boots gave working guys the world over a great gift in the form of the original Workman boots. Classic construction, high quality materials, and a versatile style made the Workman a favorite among everyone from carpenters to construction workers to weekend trail hikers. Now, the Workman is back with a few modern updates that make it even better - which, to be honest, we didn't even know was possible. 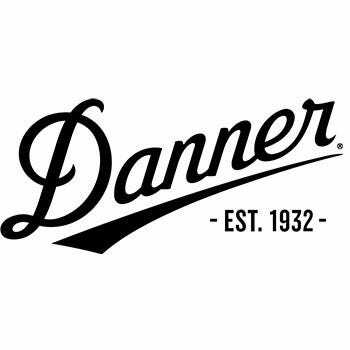 The Danner Men's 16285 Workman 8-Inch Brown Waterproof EH Work Boots are in a class all by themselves when it comes to hard-working, long-wearing, great-feeling work footwear. These men’s boots are constructed of full-grain, waterproof, oiled leather uppers in a classic brown. The shafts stand 8 inches tall and lace up the front for a comfortable, adjustable fit that provides you with superior ankle protection and stability. Traditional metal grommets and double rows of seam stitching ensure lasting durability that won’t break down, even under heavy use. Inside, the Danner boots are fitted with a trademarked Gore-Tex liner, which is specifically engineered to make sure your feet stay dry and comfortable, no matter what the weather might be like. The liner is 100% waterproof and breathable, so sweaty feet and the friction they bring with them are a thing of the past. The insole boards are made of a unique material called Bi-Fit, which, unlike traditional insoles, is made of a plastic-based material instead of paper. The Bi-Fit boards are dual-hardness, meaning they have a flexible front section connected to a rigid back. This allows your foot to flex where it needs to (near the arch and ball), while also being fully supported at the part that strikes the ground the most and gets the most fatigued by doing so (the heel). The midsoles of the waterproof boots are made from a specially-designed compound by Vibram called SPE (Specialized Performance Elastomer), which is a combination of synthetic rubber and EVA. The midsoles in footwear are an essential part of the structure that provides the wearer with comfort, support, and protection, but traditional midsoles are often heavy and inflexible. SPE midsoles mean these boots remain surprisingly lightweight (just 57 ounces each), as well as flexible enough to adapt to your step while enhancing rebound and comfort. Finally, because the usefulness of work boots is often tied directly to how well they perform in situations where the terrain might be questionable, the 16825 Workman boots are fitted with superior quality Vibram Workman outsoles made from rubber that's resistant to the degrading effects of oil, as well as to slippage. The low-lug tread design is adaptable to conditions ranging from wet to dirty to slick, and keeps you sure-footed no matter what. These brown boots also meet ASTM F2892-11 EH standards to provide protection against some electrical hazards on the job site. Whether you were a fan of the original Danner Workman, or you’re a new convert to the group, today is your lucky day. Once you boot up in a pair of the classic, hard-working Danner Men's 16285 Workman 8-Inch Brown Waterproof EH Boots from Working Person's Store, you’ll understand why some guys are so devoted to a particular pair of work boots: because some particular pairs well deserve that devotion. Danner Boots: Men's 16285 Waterproof EH Workman 8-Inch Brown Work Boots is being added to your cart.